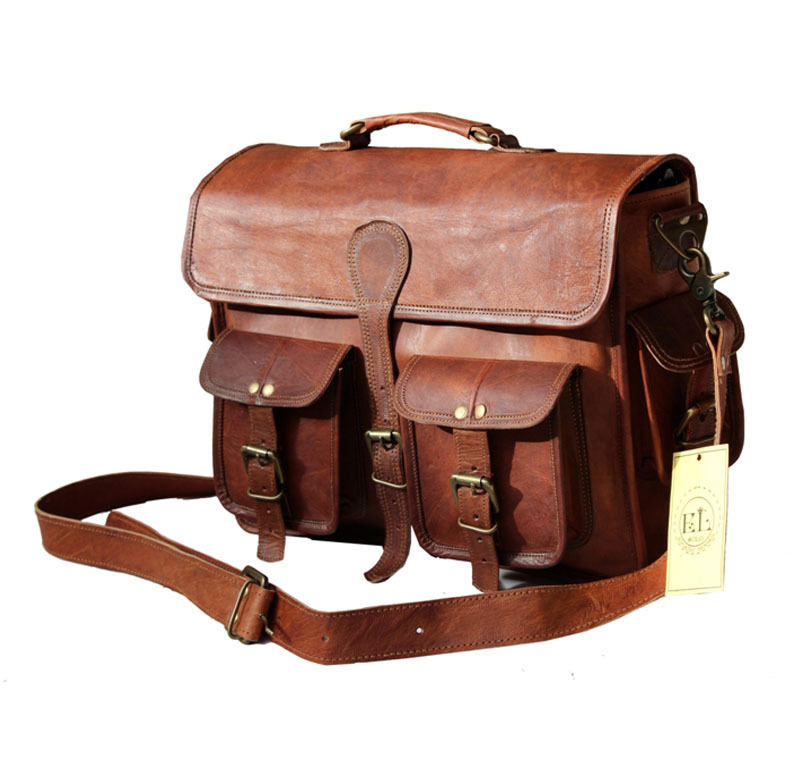 Make a habit of looking casually sophisticated with this handsome messenger in Vintage retro looking Goat leather. The main section of the bag has a large amount of space and will accommodate a laptop , MacBook and a couple of books & documents. Gift wrap this item for $1.99? SKU: LMB-9. 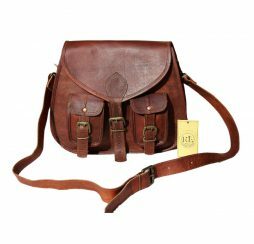 Categories: Natural Bags, Messenger Bags. Make a habit of looking casually sophisticated with this handsome messenger in Vintage retro looking Goat leather. 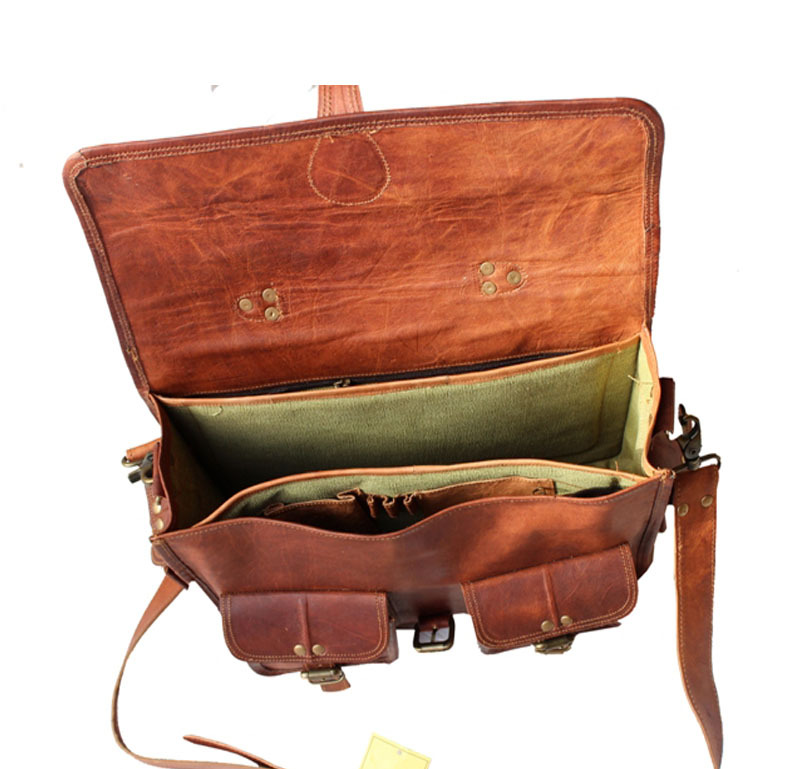 The main section of the bag has a large amount of space and will accommodate a laptop , MacBook and a couple of books & documents. Please Note that customization option is fully available as per your requirements. 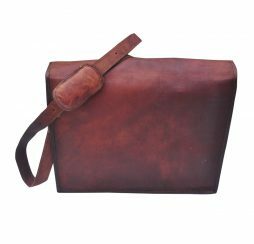 Disclaimer : Goat hide is all-purpose leather that combines softness with durability and strength. It is flexible and naturally water-resistant and does not crack or get hard when wet. 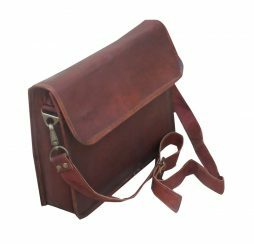 Being handmade, each bag is unique. 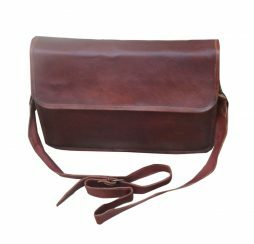 Since each hide is not exactly the same as the other and no dye is used to make them look similar, no two bags will be exactly the same and may vary slightly from the photographs. 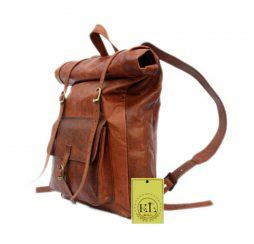 SINCE THE LEATHER USED FOR THIS BAG IS NOT CHEMICALLY TREATED, THE LEATHER HAS A DISTINCTIVE ODOR / SMELL WHICH FADES AFTER A FEW WEEKS OF REGULAR USE. 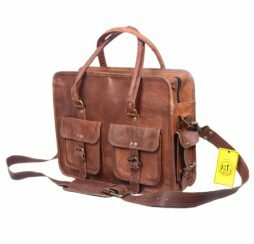 The bag features a fully lined and extremely roomy central compartment with Two Front Pockets for easy storage and organization. 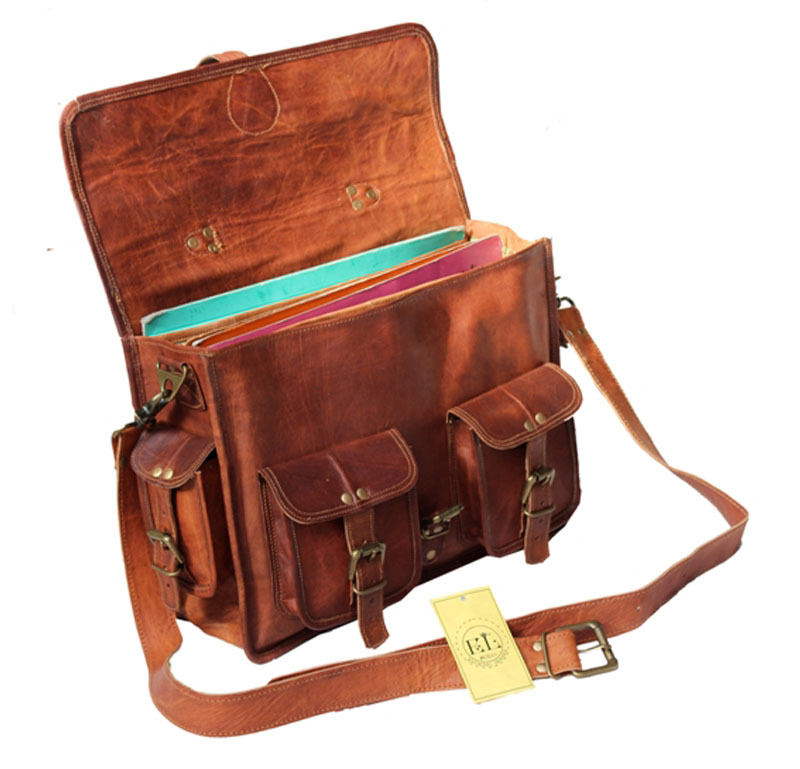 The main section of the bag has a large amount of space and will accommodate MacBook and a couple of books. 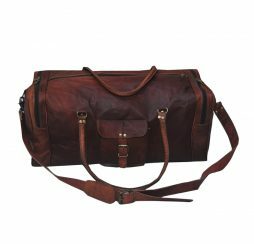 The bag features a fully lined and extremely roomy central compartment with one Front Pocket & One cross zipper pocket for easy storage and organization. 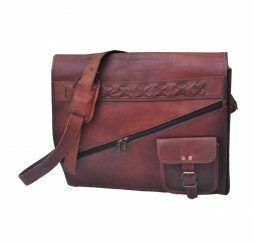 The bag has Handmade creative design on the flap. 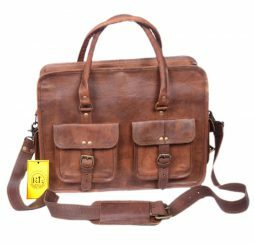 The bag features a fully lined and extremely roomy central compartment with Two Front Pockets & Two side Pockets for easy storage and organization. 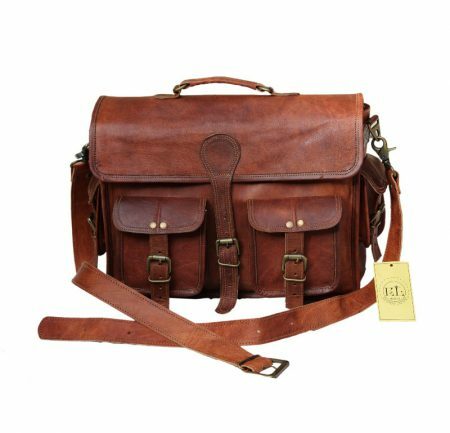 Have received the bag I ordered in just a few days, am very pleased and happy with it, and look forward to using it regularly. Thanks very much!! 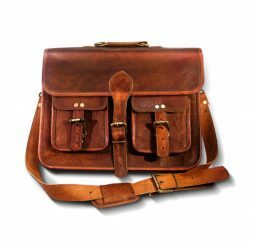 I have used dozens of laptop bags but the one I received from El Solo was the best one. It was too good in terms of quality, pricing, design, and handling. Their bags are highly durable. The leather bag I am using was bought from them and its a very useful and multipurpose bag. Its a great product. I like it very much. The pricing is cheap and quality is excellent. I’ll highly recommend this website. I’m just loving the bag I received from El Solo. It looks fantastic and suits my personality. They have a huge collection that fits requirements of all. Thank you so much.